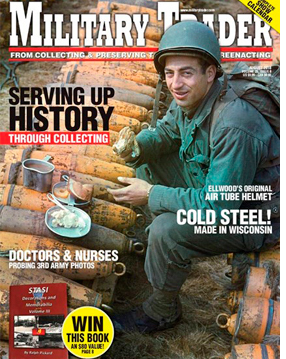 Military Trader - Dedicated to collecting, preservation, restoration, study, and display of historic military artifacts. Military Vehicles Magazine - Dedicated to collecting, preservation, restoration, study, and display of historic military vehicles. 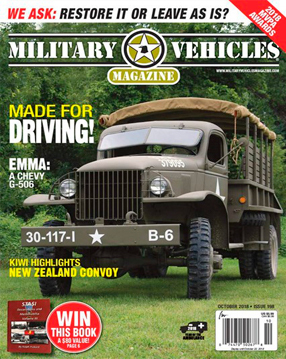 1-year subscription (7 issues) to Military Vehicles–ONLY $36! Canadian orders add $18 for postage & handling. Orders outside the U.S. and Canada add $26 for postage & handling.